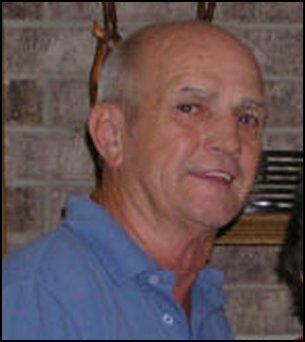 Roger Cross (71) died Oct 6, 2011, from liver failure in Mankato, MN. He is survived by his son Chad Cross, Austin, TX, daughter Candice and husband Wayne NeSmith and their children Krystal and Shianne of Columbia, MO and grandson Frank Pratt of Lincoln, NE. His brother James and Linda Cross, John and Donna Cross, Jerry Cross and sister Maggie Ersted and several nieces and nephews. Roger was preceded in death by his wife Heidi Cross (Dec 24, 2010), his parents Warren (2001) and Mary Cross (2009), sister-in-law Teresa, numerous aunts and uncles. Roger was born August 2, 1940, in Winnebago, MN. He graduated from Huntley High School in 1958. He then completed 1/2 years of college at Mankato State before joining the Navy. He married Heidi Femrite of Blue Earth, MN on April 23, 1964 in California. He served 24 years in the Navy traveling to California, Japan, Hawaii, Kansas, Florida, New York, New Jersey and many deployments overseas; he retired in 1983 as a CWO3, moving back to MN to farm. In 2004 they moved to Carthage, MO for warmer weather. After Heidi's death he moved back to Mankato, MN in July until his death. Services were held on Friday Oct 14, at 10:00 am at Fort Snelling National Cemetery in Minneapolis and Oct 15, at 11 am at the 1st United Methodist Church in Winnebago, with Rev. Durene Cornell officiating.